MERCEDES-BENZ CERTIFIED PRE-OWNED Extended Warranty PLUS Special APR Starting at 1.99% ! 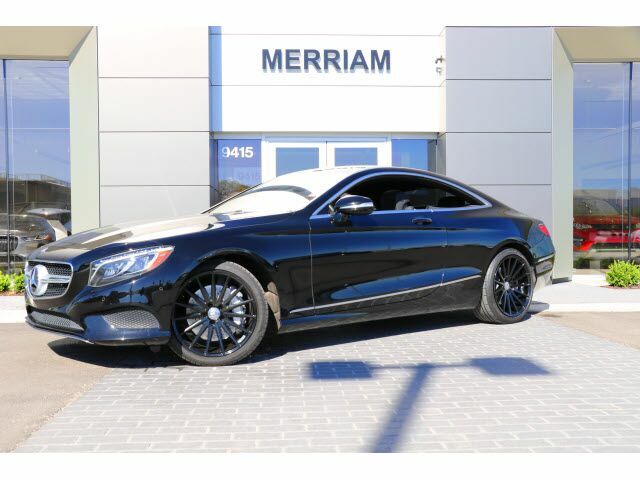 2015 S 550 4MATIC Coupe in Black over Black Nappa Leather with Burl Walnut Wood Trim. Local Trade-in, clean inside and out and optioned with 19 inch Wheels, KEYLESS-GO, Hands Free Access, Active Curve Illuminating Full LED Lights, Navigation, Back Up Camera, Illuminated Door Sills, Parktronic with Active Parking Assist, Collision Prevention Assist Plus, Power Rear Window Sunshade, Sirius Satellite Radio, and More! Please Contact Brian Stacy 1-855-979-0255 to Test Drive Today! Aristocrat Motors, Kansas City's premier luxury dealer strives for the highest levels of customer service. Voted "Best in Business" by the readers of Ingram's magazine, our customers are our number one priority.